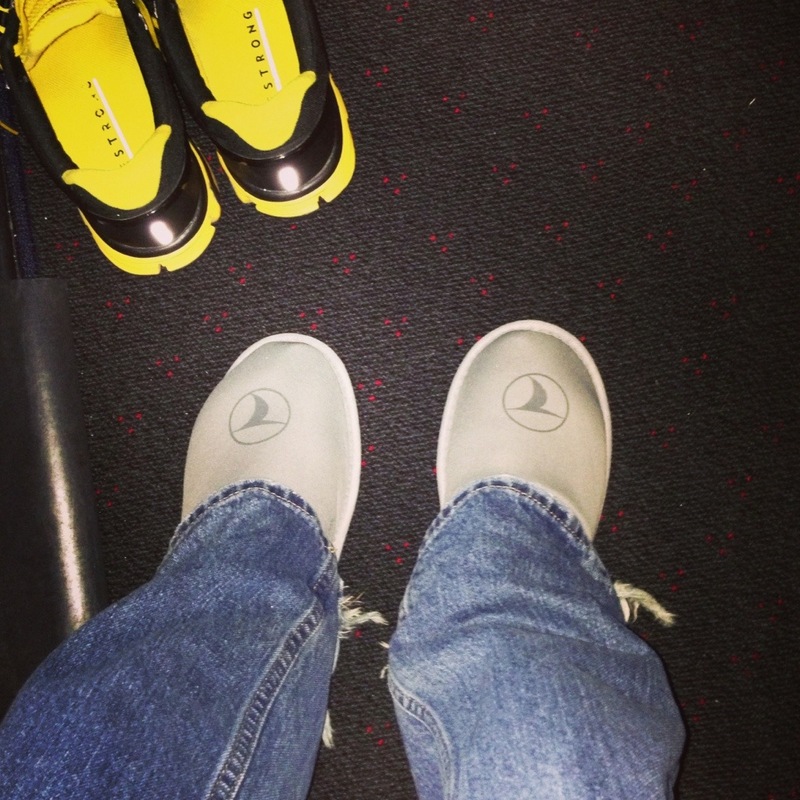 We have big, comfy chairs with a ton of leg room, and we even got our own pair of complimentary in-flight slippers. Yep, he’s right. Sitting here in the dark trying to sleep on a plane…I just can’t stop thinking about our kids back home. I miss them very much and just keep praying for them every time I think about them because that’s the best that I can do for them right now. I’m very excited about this adventure that we get to go on, but I think being away from the adventure back home sure does make me appreciate and realize how much we’ve been blessed. Next Next post: Turkey was Fun… ish.